The definition of a 'television set' is to be changed in law in order to allow the TV licence fee to be applied to computers, laptops and large tablets, the Irish Independent can reveal. 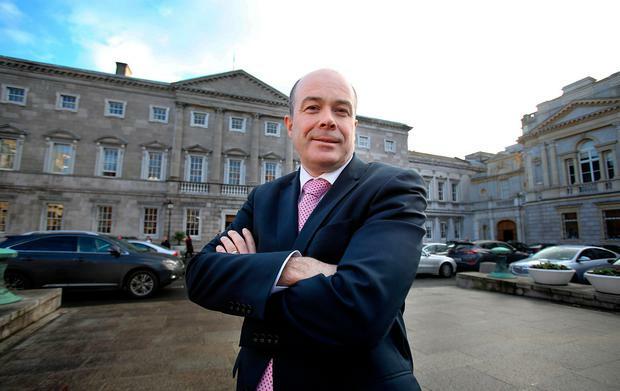 In a move that could generate an extra €5m a year for cash-strapped RTÉ, Communications Minister Denis Naughten is devising plans to broaden the reach of the licence fee. Almost one in 10 households no longer has a traditional television set, but many are still accessing content over the internet. Sources say proposals being finalised by officials would see the €160 annual charge applied to electronic devices with screen sizes above 11 inches. This would ensure mobile phones and standard tablets are exempt but would see most desktop computers, laptops and large iPads targeted. Each household would only have to pay for one licence, regardless of the number of devices. Full details of the change have yet to be worked out, including how it would be enforced. Last week, the Irish Independent revealed that Mr Naughten was considering outsourcing the collection of unpaid TV licence fees to a private company. It comes after the minister shot down suggestions from RTÉ's director general Dee Forbes that the TV licence should be doubled in order to help the station continue its current level of output. He has also ruled out the imposition of a so-called 'Broadcasting Charge' which would result in every household in the country receiving a bill regardless of whether they access public service broadcasting. This approach is favoured by Fianna Fáil. According to figures compiled by An Post, who administer the TV licence fee, some 32,555 households have no television. This is a rise of nearly 4,000 in a single year. However, there is substantial anecdotal evidence that many of these homes rely on computers for news and entertainment. The Broadcasting Act 2009 currently gives a broad definition of a 'television set' as "any electronic apparatus capable of receiving and exhibiting television broadcasting services broadcast for general reception". But the law states that "non-portable television sets capable of exhibiting television broadcasting services distributed by means of the publicly available internet" are exempt from paying the TV licence. Mr Naughten now hopes to delete this exemption using his ministerial powers, with the effect that internet usage will be accounted for and a large number of devices brought into the TV licence net. Sources told the Irish Independent the idea is specifically to take account of the rapid technological changes that have taken place in recent years. In the UK, householders are required to pay the licence fee if they download or watch any BBC programmes on iPlayer. This applies to any device, including a TV, desktop computer, laptop, mobile phone, tablet, games console, digital box or DVD/VHS recorder. However, Mr Naughten intends to write to the Joint Oireachtas Committee on Communications in the coming weeks to seek its views on which type of devices should remain exempt here. Sources said the key area for discussion would be the screen diameter, with the Department of Communications currently proposing all screens below 11 inches should not attract the fee. A standard iPad screen is 9.7in but can rise to over 12in for more high-spec models. TV licence evasion is already extremely high with over €40m not collected every year. At the same time, RTÉ - the main benefactor of the fee - is facing a serious financial crisis. Last week, the broadcaster put over eight acres of its campus in Dublin 4 on the market with a price tag of €75m.